It seems to have a certain utilitarian honesty about it. It has no matte-black, navy SEAL pretensions. I quite like the way it looks. But can it cut tubers into narrow strips? 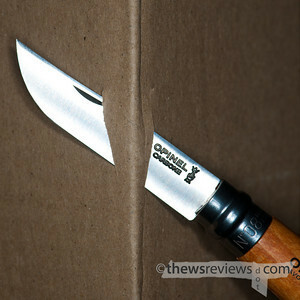 I was trying to skate around the idea that the Opinel is essentially a folding paring knife. 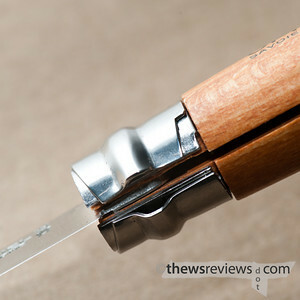 I've seen it called a "French peasant's knife," which would make it perfectly at home with wine and cheese. I'd choose one with a stainless blade if it was mostly for cutting food, but I have no doubt that this knife would be great for camping and light kitchen duties. An Opinel knife packed with camping gear probably wouldn't get a second look from a helpful authority figure at a border crossing or roadside checkpoint. I don't think a Ka-Bar would be as prudent a choice. And "tubers" is just a fun word to say. I get a laugh out of the mall-ninjas comparing one-handed opening time on "show me your blade" forums. 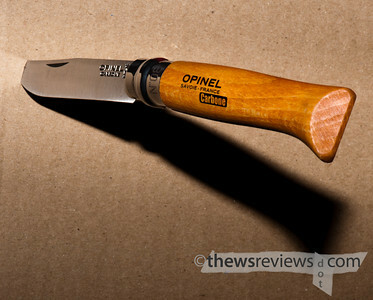 "I was trying to skate around the idea that the Opinel is essentially a folding paring knife." And it's not trying to be anything else! That's the appeal to me. You're right about the thin blade being better suited to certain tasks. That's unique to this knife and will make it the right tool for the bulk of jobs we need do in real life. I know I'll pick up an Opinel next time I'm at MEC. opinel's are great! From the history,packaging and classic looking appeal these knives present. 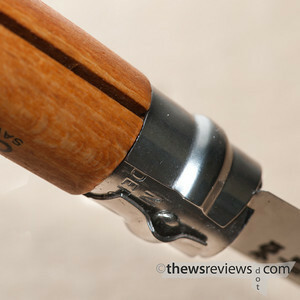 Excellent quality,i have the stainless no.8 version,with a sheath. The knife carries well and lite weight. Its a nice flatground blade with enough belly and the blade shape is great that curves upward(persian style) and suits every need a knife should at a excellent affordable price.